Arturo's signature Dry Method haircuts are meticulously crafted with a healthy dose of perfection. You will leave with a haircut perfectly tailored for your face, your style, your life. 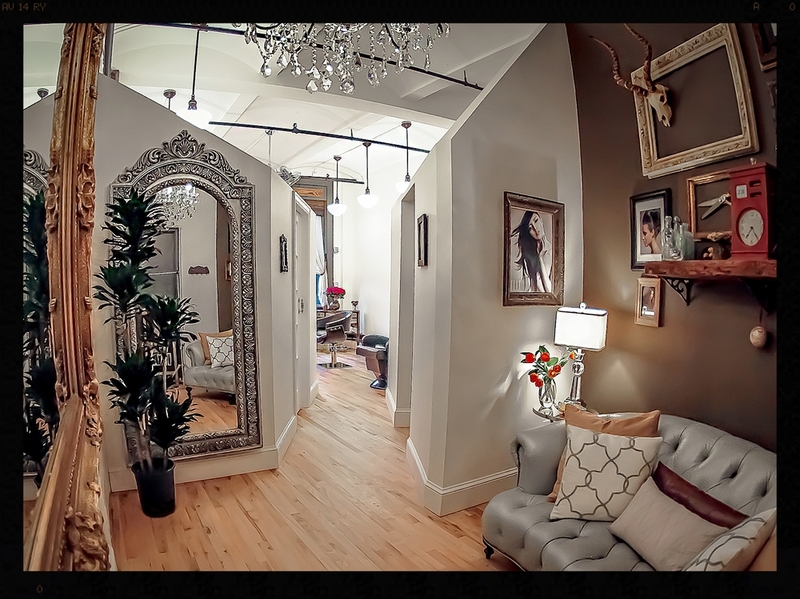 Arturo Salon is like no other salon; It's an experience. Industrial-chic yet comfortable and private, you can forget about the typical salon distractions. They do not exist here. Expect honest and professional advice on conceptualizing your look with every ounce of Arturo's attention on you. Settle into your private room and experience the magic. With an exacting eye, Arturo carves dry hair in live-view for incredible precision. Settle in and watch how he meticulously brings your hair to life. Always scissored, never buzzed, Arturo engineers individualized, stylish cuts guaranteed to fit you like a well tailored suit. A little trim of the fringe to prolong your fabulous haircut. Rich and vibrant hues, perfect for enhancing dull color and or covering grey. No vacay? No problem! A few highlights around the face will fool everyone. Pump up the shine and add some richness with this non-peroxide treatment. Think Picassos' version of highlights, this is hand painted art, sans the foils. HIghlights do exactly what their name implies - they mimic those beautiful, light strands of hair some people were born with, and others after a few hours. We got you! Whether your hair hair is the darkest brown or fairest blonde, weaving in lighter shades brightens up the face and adds dimension to every hair type. Bouncy and full or straight and sassy. A polished look sans the frizz. Go from boardroom to camera ready with a look that will surely make you the life of the party. No shampoo, no blowout, in 15 minutes you'll have a weaved piece of art ready for any type of function. Prices may vary according to hair length, texture or grey coverage. Amanda is our master of scheduling, she is friendly, personable and prompt. Amanda will help you find the perfect appointment and answer any questions you may have. We accept Visa, Mastercard and Discover. Gratuities are cash only. The industry standard is 15% - 20% of the service price and is always a matter of choice. We require a credit card number at the time of booking to hold an appointment for new clients. Your experience is important to us! We want you to love your hair and if for any reason you are not happy with our service, please let us know within 24 hours and we can schedule a correction within a week maximum from your original appointment. Hair and chemical services may vary according to technique and hair length and texture. Get an exact quote for your specific needs by setting up an in-person consultation. The full price of the appointment applies to all no-show appointments and appointments cancelled with less than 24 hours notice. No exceptions. Located on 23rd Street between 6th and 7th Avenues, our salon is centered between Flatiron and Chelsea shopping districts. Meet up with friends for a bite at Eatley's market place, eat outside at Shake Shack or meet for drinks at Flatiron Lounge; make it a shopping day by visiting our neighbors Restoration Hardware, ABC Carpet & Home, West Elm, Bed Bath & Beyond, Container Store, Michaels, Trader Joe's, Whole Foods, Victoria Secret, Sephora, Anthropology, Joe Fresh, Zara, Forever 21, H&M, Old Navy, Banana Republic, Lucky Brand, Kate Spade, The Gap, Uniqlo, Club Manaco, Free People, Paul Smith and Opening Ceremony. A complete map of NYC subway system that includes service advisories, GPS station finder and line data. An all-purpose transit navigation app offering trip planning, service advisories, interactive maps, real-time schedules and more. Provides live bus times and route maps for every stop in New York City. Helps you quickly find what's around you using GPS. Lists Bank/ATM, parking, coffee shops, gas stations etc. Getting Your Hair Cut Dry (not wet) Could Change Your Entire Salon Experience. DRY CUTTING: The Way Your Stylist Should Be Cutting Your Hair. Your No-BS Guide to (hair) Primers. Beauty Products You Can Stop Using Right Now. Are You Washing Your Hair Correctly? These 10 Stylists Weigh In. 7 Experts Share Their Secrets for Shiny, Healthy Hair. The Best Tips and Products for Big Hair.